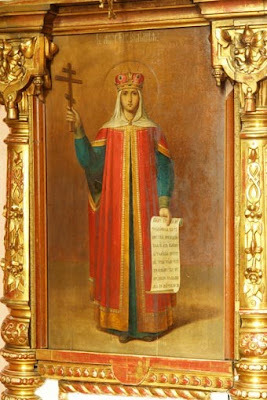 Saint Juliana, Princess of Vyazma and Novy Torg, a daughter of the noble Maximus Danilov, was known for her virtues and her chastity. Her spouse, Prince Simeon of Vyazma, and also Prince Yuri of Smolensk, were compelled to flee their native lands, which the Lithuanian prince Vitovt had seized. Then Prince Basil of Moscow bestowed the Tver city of Torzhok upon the exiled princes. Prince Yuri became captivated by Juliana’s beauty and tried in every way to persuade her to commit adultery, but Juliana remained faithful to her husband. During a feast, Prince Yuri killed Juliana’s husband, in the hope of taking her by force. Saint Juliana resisted the ravisher, wounding him with a knife. The enraged Prince Yuri ordered that her hands and feet be cut off, and that her body be thrown into the Tvertsa River. Troubled by his conscience and censured by everyone, Prince Yuri fled to the Tatars, but even there he did not find peace. He settled in the Ryazan wilderness where he died in 1408. 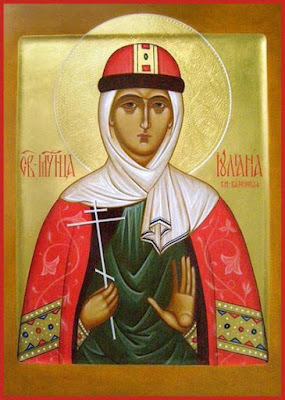 The martyrdom of Saint Juliana occurred in the winter of 1406. In the spring of 1407, they saw the body of Princess Juliana floating in the river. 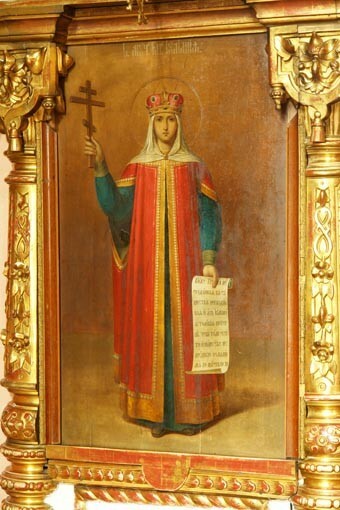 A certain peasant heard a voice from above, commanding that the body of Saint Juliana be buried in the Torzhok Cathedral on the right side by the south doors. A tomb for her body was afterwards built at the Transfiguration of the Savior Cathedral, where many received healing from her. In connection with the glorification of Saint Juliana on June 2, 1819 a chapel was built on the right-hand side, and dedicated to her. At the Cathedral of the Transfiguration of the Lord, where earlier there had been a chapel over the grave of the Saint, a church was built and also dedicated to Saint Juliana in 1906.